With each marketing campaign your company creates, you hope to attract new leads and potential customers. However, simply getting their attention isn’t enough to convince them to get out their credit cards. In order to turn those leads into paying customers, you need to properly nurture them. Lead nurturing is a process that involves educating, persuading, and entertaining leads with content and communication. It considers what information they may need during their buyer’s journey and answers whatever questions they may have about your products and services. When a lead has all the information they need – or is properly nurtured – they can feel confident enough to make a purchase. The right lead nurturing strategy can help companies boost their sales and create long lasting relationships with their target audience. Unfortunately, not all companies take advantage of lead nurturing processes. Those that don’t, miss out on more opportunities and sales. 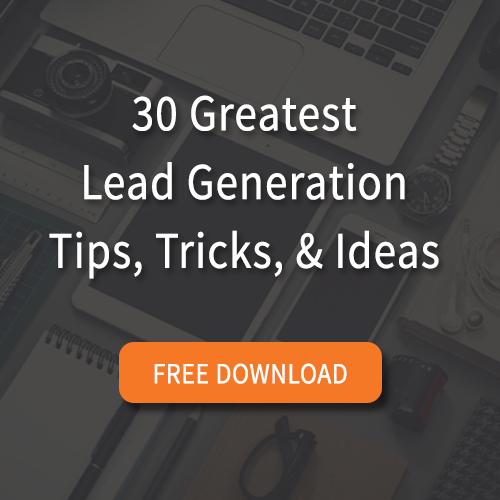 But what exactly should you do to nurture your leads? Let’s take a look at a few of the best ways to create a lead nurturing strategy for your business. There are many different ways you can nurture your leads and convince them to become paying customers. Here are a few of the most effective ways to do so. Leads don’t all begin in the same place. Some leads may be closer to making a purchase while others may need more time and materials before they are ready to make a decision. This means that each of your leads will need different information before they can make a purchase. Ranking your leads by readiness can help you determine who is closer to buying and who needs a bit more time. Measuring things like how well the lead fits with your target audience, their interest In your brand, and what content they’re engaging with can help you identify how ready your leads are. Collect as much information about your leads as possible. Once you know who they are, closely monitor how they’re engaging with your information to see if they’re actively looking to make a purchase or if they’re just trying to collect content. Because your leads will not all be the same, they need different content to help guide them through the buyer's journey. If you’re trying to fit them into a one size fits all box, you’ll quickly lose potential customers because you’re not giving them what they need. Targeted content allows you to send different information based on who your lead is, how you collected their information, and what problems they need solved. This allows you to point them in the direction of the most relevant content at the right time. Marketing automation tools make it easier to monitor what information your audience may need and send it at the right time. Through marketing automation, you can set up different campaigns to run based on what content your lead engages with or how they provide their contact information. Email is a great tool for nurturing leads, but most audience members get dozens of emails a day. Between other newsletters they’re signed up for and work emails, there is a strong chance your content will get lost in the mess of their inbox. If you’re only using email, you’re not properly nurturing leads. Other popular ways to nurture your leads include social media marketing, pay-per-click advertising, and content marketing. When you provide information in a variety of ways, you’re able to attract new leads no matter how they’re using the internet. As you gain their attention and build trust, they can move further and further along the buyer's journey. Think about what platforms your ideal audience members use the most, including the social platforms they’re on most frequently. Knowing where your audience is and what they may be looking for can increase the success of your lead nurturing efforts. Some companies want to jump right into pushing a sale. Instead of waiting to establish trust and build a relationship, they push marketing that only focuses on getting the customer to buy. Unfortunately, many customers are turned off by this behavior. Due to the number of scams and schemes online, many customers are reluctant to make a purchase with a company they’re not familiar with. This means that you need to have more than one “touch” with a customer before they will consider purchasing from you. If you’re not focusing on building a relationship or establishing trust, they’re likely going to ignore you. Social media, blog posts, webinars, direct mail, and emails are all great ways to increase the number of “touches” you have with a target audience member. The more they can become familiar with you and your brand before they’re pushed to make a purchase, the higher your success rate will be. The most important part of any marketing strategy is to listen to what your audience members are looking for. If you're supplying them with content they're not interested in or they don't need, it will be more and more difficult to get their attention. Do research about the questions your audience members have, what topics they’re looking for, and what your competitors aren’t putting out there. When you provide your audience with the information they need, they can begin to trust your credibility, helpfulness, and expertise – improving the likelihood of you helping move them along the buyer's journey. The proper research can save you time and resources, making your lead nurturing much more effective. Continuously look into what content your audience may be looking for and do your best to provide it to them. Developing the right lead nurturing process can take a bit of time, but it is always best to get started early. As you learn more about your audience, you can shift your strategy to better accommodate their needs.